Favorite Chicken & Ribs launch their in-store 2018 promotions this week. 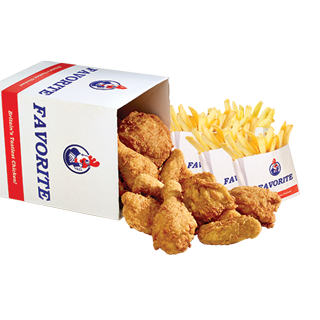 Everyone loves great value so Favorite are focusing on their traditional 6 piece plus 4 fries sharing box. Feed a group of friends or family for under a tenner!